Home Ampersand The Remainder by Alia Trabucco Zerán (tr.Sophie Hughes) makes the Man Booker International 2019 Shortlist! 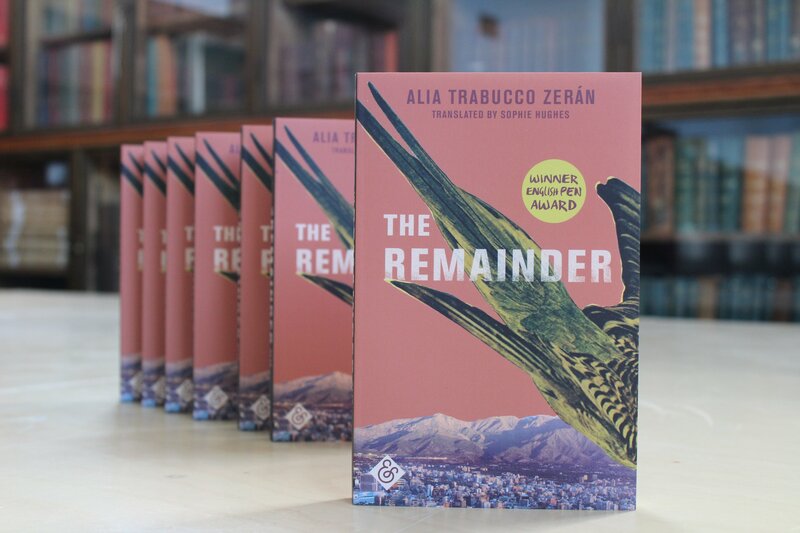 We are absolutely thrilled to announce that Alia Trabucco Zerán’s debut novel The Remainder, translated from the Spanish by Sophie Hughes, has been shortlisted for the Man Booker International Prize 2019! Felipe sees dead bodies on every corner of the city, counting them up in an obsessive quest to square these figures with the official death toll. He is searching for the perfect zero, a life with no remainder. Iquela and Paloma, too, are searching for a way to live on. When the body of Paloma’s mother is lost in transit, the three take a hearse and a bottle of pisco up the cordillera for a road trip with a difference. Alia Trabucco Zerán and Sophie Hughes are in great company, with the shortlist celebrating a list of esteemed authors and translators. The list spans five languages and is dominated by independent publishers, including Fitzcarraldo Editions, Sandstone Press, Serpent’s Tail, and ourselves, And Other Stories. Congratulations to all shortlisted authors and translators. The winner will be announced at a dinner at the Roundhouse in London on 21 May.